Export QR codes based on a template with custom text and images. With the Export Barcodes task, values in a database can be exported to generate barcode images for your use. This will export ALL values in a database as barcodes, You cannot pick and choose which values you wish to export but you can easily create a new database with just the new barcode images you want to generate. This task also cannot be automated, and must be done manually on-demand. However, there is a barcode generator API for that for developers. 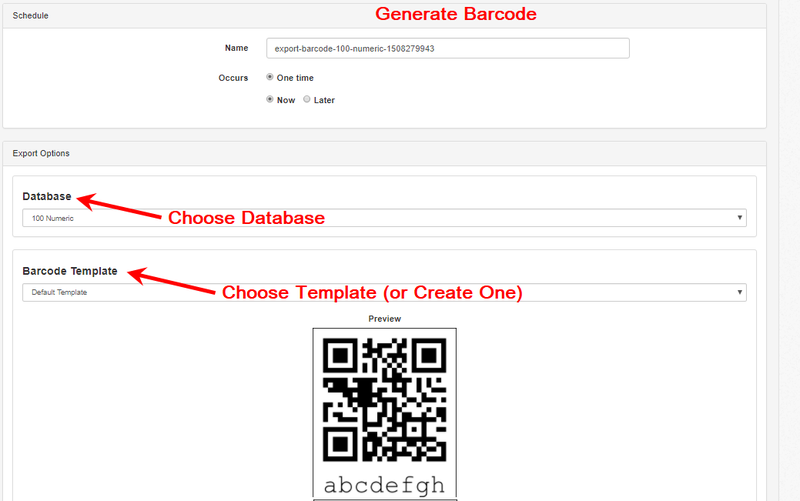 You can optionally create a branded (custom) barcode images using a barcode template. Options include display of the value, what level of error correction is used, the size of the code, and more. You can even add logos to your barcodes for your business’ use.